Again, Couillard held out Lev Tahor as an example of unacceptable behaviour. Why? Who has been threatened by Lev Tahor? What makes them “unacceptable” and to whom? Why chose to focus the spotlight on them? In the Knesset, Israel’s parliament, a committee presented allegations of some of the most atrocious abuses of children of what some speaking to the committee called “a sadistic cult“. Yet two things become immediately apparent, even in such biased reporting: (1) that Lev Tahor, under investigation by the Israeli state and subject to a mountain of allegations–has not been charged of any crime by the state prosecutor, even after years of investigation: “Attorney Galit Greenberg from the Justice Ministry, claimed in response there was the difficulty of obtaining evidence“, and that, “for seven months the Canadian Community Social Services checked the community and found no evidence of abuse or torture“; and, (2) there is repeated reference to the need for the Knesset and prosecutors to liaise with Foreign Affairs, precisely because Israel would lead the now international chase for Lev Tahor. The story of Lev Tahor thus became a transnational one, spanning Israel, the US, Canada, Trinidad & Tobago, and lately Guatemala too. This line of attack would be directly transferred to Canada by two avenues: (a) members of the politically-influential Montreal Jewish community, and, (b) provincial (Quebec, Ontario) governments and the federal government of Canada (more on the latter below). One must also note that while the Knesset committee met on November 21, 2013, the Knesset as a whole convened an “urgent hearing“ on Lev Tahor on November 26, 2013. It was a mere day later that a Quebec court ordered the removal of 14 children from Lev Tahor. 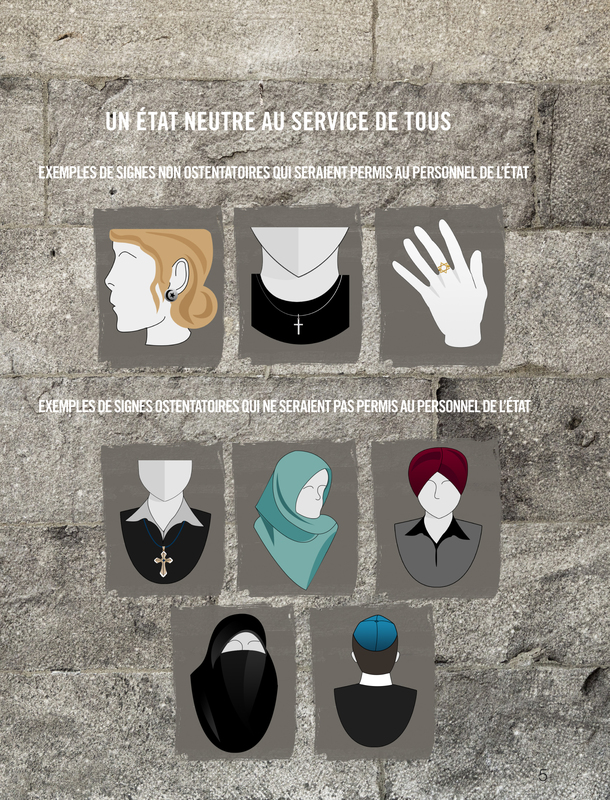 The process of launching complaints against Lev Tahor in Quebec supposedly first began with allegations from a disgruntled husband against his wife–he left the community, and she chose to remain. The allegations he made were taken up by Ometz, a Montreal Jewish social services agency. In addition, David Ouellette, the public affairs director at the Centre for Israel and Jewish Affairs in Montreal, said Jewish community services had been active in exposing concerns about Lev Tahor–“concerns” first aired in Israel however. Ouellete declared: “They [Lev Tahor] are a sect. They are not reflective of Judaic values or any stream of Judaism. They are completely out of the norm.” While rejecting claims that the persecution of Lev Tahor was motivated by “anti-Semitism” (thereby skirting the issue of Zionism), Ouellete of CIJA said this: “Lev Tahor is a radical cult. Perhaps they do suffer from delusions of persecution….The Jewish community in Montreal has been involved in the investigation of Lev Tahor.” Indeed, they were more than just involved, as the motivation for the actions of the government of Quebec did not originate in the government of Quebec. Ironically, while organized members of Montreal’s Jewish “community” were actively refuting charges that the case of Lev Tahor was motivated by anti-Semitism, it is anti-Semitism itself that has been visited upon all orthodox (“visible”) Jews: “It must be made clear that the Chassidic community of Montreal were actually the ones who brought the information about the abuse to the authorities….Lev Tahor are not Chassidim”–yet, 56% of Quebec respondents have a somewhat negative or very negative opinion of Chassidic Jews. That is only marginally lower than for Muslims (as a whole), who are disliked by 57% of Quebecers. That’s “Quebec values” for you. It’s not just a little disturbing when a supposedly Canadian prime minister takes the identity and political program of another state and transfers it back to Canada, turning it into domestic policy. Yet, this is exactly what Prime Minister Stephen Harper did when first he announced the “theory” behind this Israelification of Canadian policy, followed by a specific example of its practice against Lev Tahor. He announced this theory most forcefully not so much in Canada, in dialogue with Canadian citizens, but in the Israeli Knesset on January 20, 2014. Keeping in mind the fact that the actual proportion of Jews in Canada is little more than 1% of the total population, a tiny minority even among our smallest minorities, this helps to underscore just how extreme Harper’s stance is, even if it were reflective of all Canadian Jews’ opinions. In that speech, Harper made a sweeping, unintelligent, and irrational assertion that anti-Zionism is anti-Semitism. In the process, what Harper thus articulated was itself a racist statement, because it stipulated that all Jews are Zionists. (Few noticed that in practice this meant that all Jews must be Zionists, or else–and it’s an example of what that “or else” means in practice that Lev Tahor has experienced.) Canada’s Independent Jewish Voices deemed Harper’s fanatical assertion to be morally unacceptable: “Criticizing the Zionist cause—which has from the outset required the forced and permanent removal of Palestinians from their ancestral lands—is not at all indicative of a hatred towards Jews, and saying so is misguided at best, and at worst, racist and immoral.” What Independent Jewish Voices immediately achieved, therefore, was establishing that the so-called “new anti-Semitism” that is the condemnation of Zionism, is a myth. The real “new anti-Semitism” is, if anything, the construction of this racial stereotype of Zionism being at the heart of all Jews, of being an inherent, innate, and essential quality of Jewishness. If Harper appears to have flipped, it’s because he has. He also seems to have worked very hard in earning the scorn of an overwhelming majority of Canadians, few of whom consider Israeli priorities as personal priorities, the way he would like. The actual practice of pro-Zionism as anti-Semitism is arguably one of the realities that has come to light in Canada’s persecution of Lev Tahor. The case of Lev Tahor is a complicated one, that fragments and disperses so that an array of many different debates and conflicts, and many different realities of Canada, Israel and the international system, are simultaneously thrown up. In the briefest possible summary, Lev Tahor is a community of migrants and refugees from Israel that pursues what some call an “ultra orthodox” Judaic belief and practice. Many members first began as secular Jews, some in Israel and some in the US, some having served in the Israeli Defense Forces. The community fled Israel, where they were persecuted in large part for their strict Judaic anti-Zionism: the belief that life in the promised land (which does not imply a state) would only be possible after the messiah had come. Since there has been no messiah, the state of Israel is a false construction and one that potentially threatens the realization of what was promised by intervening if not thwarting the plans of the creator. Lev Tahor ultimately relocated to Canada, and specifically to the Laurentian region of Quebec, north of Montreal (in Ste-Agathe des Monts). Israel’s interest in following and marginalizing Lev Tahor did not diminish simply because the community was now overseas. In its persecution, Israel was supported by the Canadian government, and by organizations among Montreal’s Jewish and pro-Zionist population. 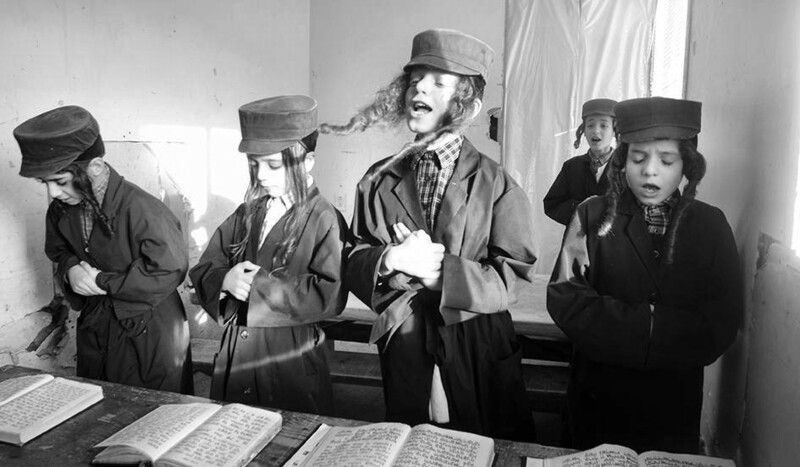 Ostensibly, the catalyst that brought down heavy-handed government interference was two-fold: (a) unproven allegations taken up by the Quebec government that the children of Lev Tahor were subject to abuse, and, (b) Lev Tahor’s refusal to educate its children according to Quebec’s secular curriculum. To avoid being forced to place their children in the Quebec school system, the community relocated once again, this time to Ontario in November of last year. Quebec, however, did not relinquish its claim to Lev Tahor’s children, seeking to take them all and place them into foster homes–again, without any proven charges, without any court hearing, without any actual evidence of child abuse. Lev Tahor then left for Ontario. However, seeing the writing on the wall in Ontario, and not waiting for the Ontario government to repeat the actions of Quebec (which it later did), Lev Tahor decided to leave Canada altogether–as is surely their right–choosing Guatemala as their next destination. In the journey to Guatemala, some members of Lev Tahor arrived at the airport late, missing their flight to Guatemala, and thus chose an alternate route that involved transiting through Trinidad and Tobago. In Trinidad, they were detained and involuntarily “deported” back to Canada, thanks in large part to the involvement of the Canadian federal government and a pliant neocolonial government in Trinidad. Those who made it to Guatemala have been allowed to stay legally, temporarily, with local courts rejecting Canadian government claims that the community had abused its children and had no right to leave Canada with them. Back in Canada, every attempt has been made to break up the group: arresting some on violations of immigration rules, yet not letting them leave the country with their children; taking some of the children, then returning them; and most recently, taking them to court for their refusal to send their children to Quebec (where the community no longer lives), but then recently Lev Tahor won their case so that Quebec has lost any legal hold. The Quebec chapter of this saga is thus now officially at an end. Reducing this complexity, as even I have had to do for the sake of (relative) brevity, the dominant narrative pushed by governments and the media in Canada is that Lev Tahor is an extremist group, one that threatens the safety and welfare of its children, and that the conflict with Lev Tahor is really only about its children. It’s not so simple however. “The circumstances in this case fundamentally beg the question whether the community to which the appellants belong is entitled to foster self-perpetuation by the suppression or limitation of critical thought in its children”~ Ontario Supreme Court Judge Lynda Templeton (2014/4/14). So when in 2008 the Canadian federal government and parliament “apologized” to survivors of the residential school system, for what exactly were they really apologizing? Was it just for the “hurt”? Was it for being now widely recognized that the system was sick–that which was officially intended to “save” Aboriginals “from themselves” instead did actual, greater harm? That the government would never again do this? Never again do it to whom? Just Aboriginals? For whatever the Canadian government may have been apologizing, it was not for the humanitarian, assimilative, civilizing ethos at the base of residential schooling. It was not apologizing for a humanitarianism that can itself be genocidal. The proof of the superficial nature of its apology are in (a) the government’s refusal to call the phenomenon what it was: genocide; and, (b) the fact that it has used the basic ideas of that system and sought to apply them globally, and once again at home, in the case of Lev Tahor. Then what does the official policy of “multiculturalism” really mean, if there is no room for real “cultural differences”? Does multiculturalism boil down to mere outward tokens of difference, such as the presence of “ethnic restaurants” and “ethnic festivals” and that there is no bloodbath committed against persons hanging pictures of the pope on their walls or covering their sofas in plastic? What have “we” really learned from the residential school experience–that it’s good to be sorry only when people find out about your wrongdoing? And what does it mean to be “free” in Canada, if you are not free to choose your preferred way of life? More on these questions below in the conclusion. But was there any evidence of any sort of child abuse within Lev Tahor? Here I am not even asking the more provocative question of “who decides what is child abuse” and whether different cultural norms of parenting could be conceived as “abuse” from the vantage point of another culture. (After all, you may call forcing 14 year old girls to marry to be abuse…but I may in turn consider your overt sexualization of teens in your movies, music videos, and by the fashion industry, to be pure exploitation, perversion, without even the semblance of responsibility. I might consider your permissiveness to drinking, partying, etc., to also be neglect. You think of it instead as being modern, progressive, and allowing young people to grow. Clearly then, there is and can be no universal agreement here.) Instead I am merely taking the authorities’ conceptions of “child abuse” at face value, on their own terms, and asking: have they proven their case? Indeed, numerous media reports painted a picture of deliberate negligence or direct abuse–based on statements made by agents of youth protection (Quebec) or Children’s Aid Services (Ontario). All of us thus read of children being forced to sleep in urine (not that they wetted their beds at night, as children often do, and that agents visiting in the morning thus naturally found urine on their sheets–but unnaturally jumped to the most shocking conclusions). We read of “bruises” on the face, which then turned out to be a mark from a magic marker and attempts by a mother to clean it off, leaving a tiny bit of redness on the cheek–no matter, the child was taken into custody, and then released. Few protested at the sense of genuine terror that must have been created by strangers marching into the community and seeking children under any pretext. And suddenly the chorus of outrage died down when we read that children forcibly taken into custody by the authorities in Ontario, had to be hospitalized as they went on a hunger strike–finally, some actual sadness and suffering…only not at the hands of Lev Tahor. “Perhaps more troubling is the fact that Lev Tahor has been accused of child neglect and child abuse, without a shred of evidence to support either contention. This, in spite of the fact that Quebec’s child protection apparatus has maintained a microscopic, vigilant eye on the community, without a single confirmed finding. The same, by the way is true in Ontario. Accusations and malicious rumors persist, but no findings of neglect and no findings of abuse. In this regard, the effort by the Centre Jeunesse des Laurentides Youth Protection division to have fourteen Lev Tahor children taken from their Chatham, Ontario homes and placed in Quebec foster homes is instructive. It’s important for the reader to understand that, to date, and after multiple investigations in Canada, no evidence has ever been presented that documented and proved “child abuse” of any sort. None has been found in Quebec, and none found in Ontario: according to Constable Renee Cowell of the Chatham-Kent police who said in a statement that, “an initial assessment of the children’s well-being has been conducted with the assistance of the Chatham-Kent Integrated Children’s Services and at this time there are no concerns.” What evidence there may have been was of overzealous “child protective services” agents and courts who appeared quite anxious to substitute prejudice, belief, and mere assumptions in place of any evidence that could stand up in a trial. Indeed, there has been no trial for abuse, no arrests for child abuse, and no convictions. What could you possibly be thinking? One thing that the targets of such actions might be thinking is about how at the same time as this experience was unfolding, Canadian newspapers were publishing data that found that 149 children in Canada died while in the “care” of child protective services, just in one province alone where the investigation took place. That province, Alberta, is where Lev Tahor members were sent when they were deported from Trinidad & Tobago without a proper hearing, but with ample intervention by the Canadian federal government. Why Taliban? How might this register with Canadians? It seems obvious: as we sent thousands of troops to fight the Taliban in Afghanistan, and just as the last troops return home from Afghanistan, this is meant to signal that these are the enemy, those we fight. Moreover, there is no place for them in our own home. The people of Lev Tahor are not insensate half-wits. They have learned one of the most valuable lessons to be learned about Canada: that the place never looks so good as when one is leaving it. They have thus tried to leave–but even here the persecution continues to thwart their efforts. Secret court orders prevented their children from leaving: “More than 100 Lev Tahor children have effectively become prisoners of this country as a result of secret court orders that prevent them from obtaining passports and crossing international borders”–when one of the families demanded to see the orders, which were obtained in Quebec in November, 2013, they were told to file an access to information request. Critics cannot even exclaim, “why don’t they just leave” when we actively try to stop them from leaving. Not to be too harsh, it is also worth noting that there has been some public support expressed for Lev Tahor in Canada–and this very article would be one such example. Ironically, just two years ago Trinidad and Tobago celebrated its 50th anniversary of Independence. Independence of what? Less depressing, and more of a validation that not every government “south of the border” will roll over and play dead, that not every government is a mere branch office of Canada, Inc., Guatemala has instead offered members of Lev Tahor temporary sanctuary–that is, those who made it to Guatemala separate from the group that was blocked in Trinidad. Indeed, Guatemala rejected the claims of the Canadian government, and refused to take the children into custody. In addition, a local court judged that Canada’s desire to take away Lev Tahor’s children would harm their emotional stability, health and integrity, and cause them significant harm. Canada was found to have violated the rights of the children. Guatemala knows a lot about genocide and its basic patterns–but unlike Canada, it has not been willing to dust away that history in order to continue reproducing it. Clearly this is a complex case, and no one article can do full justice to the experience of Lev Tahor. However, the complexity presented by Lev Tahor is something that deserves our thanks: their presence, and our reactions to their presence, and their rejection of the dominant lifestyle, have thrown up all sorts of problems of what it means to be Canadian, what multiculturalism and freedom mean in Canada, and what is the true value of our apologies to our victims. We claim to have “values,” and we draft a “charter” to “defend” those values. Why? What does it mean? I have often wondered what “Quebec values” meant in a province, or nation, where on my way to work in the morning I had to pass huge lines of people waiting for the opening of the Apple store to purchase the latest iPad model. What these values mean when I continue walking along the same street and see others lining up inside the McDonalds and Starbucks nearby. Where are these values to be found when we play host to US defense contractors such as Bell Textron, which I see on my way home? In which aisle of my local Home Depot or Wal-Mart do I go to find Quebec values? The suspicion that I have about “Quebec values” is that they represent a bleak projection of the insecurity of Canada’s oligarchic elites. That some members of the broader public share in their nervous and aggressive insecurity is doubtlessly true, and is reflected in patterns of everyday life: from splenetic drivers who are ride up on your bumper because they want you to break speed limits (more than you already are), to people pushing you in lines, to the throngs in the morning whose “walk” to work is actually a furiously hurried race with coffee cup in hand for extra nervous jet fuel. The impression of a “me first, screw you” culture is not accidental: even a recent “Easter Egg hunt” turned into a virtual riot. However, I do not want to lose sight of those who command. Elites need to charter their “values,” which consist of a negation of the values of others, because these elites are fundamentally empty and are horrified at that realization. They can no longer rationalize their own raison d’être. They have no answers, because no questions were ever allowed. So they engage in these zero-sum language games: your speaking a language other than French, somehow takes away from those who speak French. These are not so much values as what Jean Baudrillard called a revenge on the other, a revenge motivated by the resentment that the other has maintained some cultural particularity and sense of integrity rooted in actual substance and practice. You, on the other hand, guzzle Starbucks and talk Quebec values. And when you talk “Quebec values” you propose “solutions” to a crisis that is entirely in your head, and where the solutions come from an Islamophobic France and a “post-9/11” USA, in your targeting Muslims…and those like them: such as, say, a Jewish Taliban. Going backwards is probably one of the most progressive lines of thinking one can find in this place. This is heartbreaking. But not without precedent unfortunately. Thank you for the excellent, well-researched and sourced piece Max; I was not previously aware of any of this, everyone should be. It really is quite an incredible story. I have been quietly following reports of this for several months, ever since the first “Jewish Taliban” headline came out on CBC news (since amended or deleted). It’s not quite over yet, so there may be more to come in the future. Thanks very much for reading this.